Donna Gilday's approach to real estate combines intense hustle with whole-hearted integrity and a love of community. This dedication to excellent service makes her a high-caliber agent whose love for her clients is as sincere as her negotiations are fierce! Brooke is amazing. She listens and creates exactly what you are looking for in branding your business. She is incredibly talented, creative and someone who makes you feel inspired! If you need help with branding or marketing your business she is your woman! Mackenzie is an Intuitive Healer who helps her clients align to food and body. 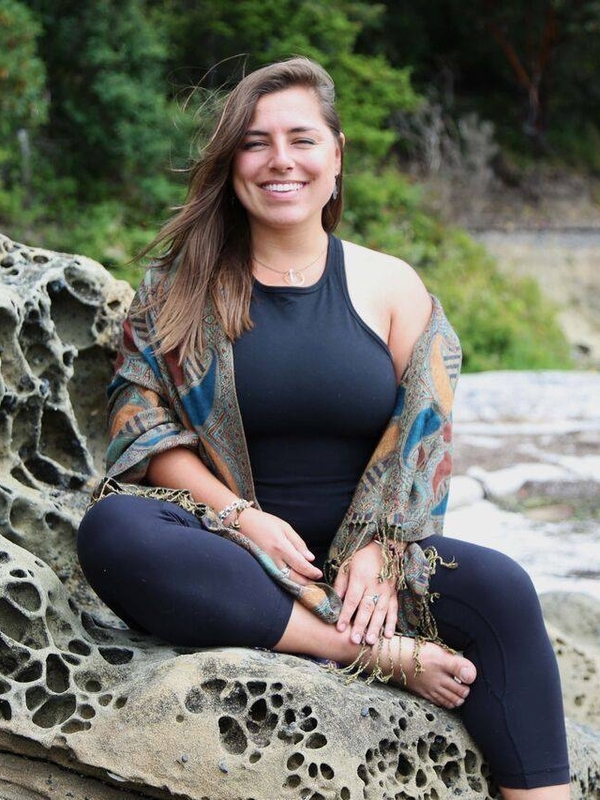 Trained in a variety of modalities that center around healthy embodiment, Mackenzie holds space for her clients to sit with difficult emotions while they discover the divine messages behind their food and body image struggles. Brooke is amazing. Her talent and attention to detail blow my mind. She puts a tremendous amount of thought, creativity and care into her projects and clients. Her ability to articulate words in an eloquent and intuitive manner makes her work easily stand out. When you sit down with her, time has a way of stopping. She really is able to drop in with her clients to see and feel the beautiful work they are bringing forth into the world. I highly recommend this wonderful woman behind Jade Consulting. Jen helps women uncover their Sacred Path, learning to trust their intuition so that they can lead more deeply connected and inspired lives. With extensive training spanning Shamanic healing in Belize, Reiki healing, and life coaching, Jen holds safe space for women to explore their deepest desires, dreams, and move through the blocks holding them back. Brooke gives 110% to her work with clients. I was blown away by the amount of time and intention Brooke invested in understanding my business and how I work before creating my logo and website. This intuitive way of working resonated with me and I’m forever grateful. Finally, after 12 years of being in business, I can hand out my business card and send clients to my website with excitement and confidence because both reflect the essence of my work. Elyssa crafts compelling visual stories of love and personal pilgrimage set against the majestic backdrop of the Great Northwest. Elyssa embraces the eclectic and the candid to craft unforgettable personal and couple portraits. In this collaborative spirit, she invites every client to co-create their story while she captures it all behind the lens. Initially I thought I wanted a simple logo design: and then a friend introduced me to Brooke. The first time we met for coffee I knew I was in for an incredible experience. Not only is she a marvelous and warm human being but she's become a steadfast friend. She blew my branding out of the park and helped me identify the deepest desires of my business. You won't find anyone better to team up with! Flow Motion is a wellness, dance, and fitness sanctuary located in northwest Washington. The studio was the first to introduce the region to Infrared Hot Yoga, and is constantly launching new innovations to make the sanctuary even better for its dedicated member community. I met Brooke when I needed her most: my website went down at the most critical season of the year for my business. Since then, she has been a lifesaver! She dug deep into the heart and soul of my mission to create authentic branding for me so I can reach more people doing what I do best. She created new brochures, business cards, and other things so my branding is consistent across all fronts. I could really go on and on, but suffice it to say I work with Brooke on a regular basis every week as she continues to deliver amazing results for my business! Satori is a Japanese word meaning "sudden enlightenment." Similarly, Satori seeks to give her clients the enlightening experience of feeling limitless and pain-free in their bodies. With enthusiasm and gentleness, Satori gives her clients the relief they need to enjoy their life, work, and families. Brooke did an amazing job on the branding for my business. She is extremely professional and I highly recommend her to give your business that extra edge to help you stand out.